The lonely road, of course, doesn't need to be in the West. 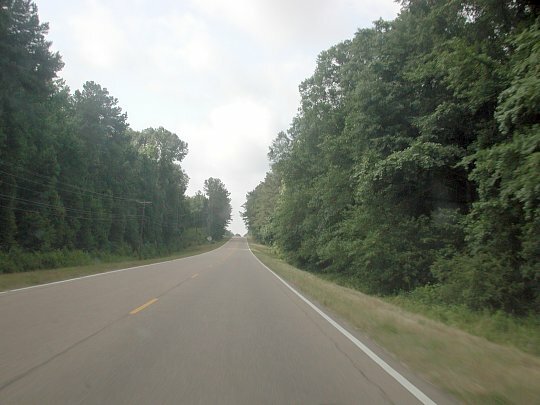 This view is from along U.S. 51, north of McComb, Mississippi. It was taken "at speed" one May morning. This road has long been relegated to secondary status by the nearby Interstate. But it makes for a fine ride, and the area seems rich with the remainders of regional history.